NGC 2080 : "The Ghost Head Nebula" NGC 2080 is one of a chain of star-forming regions lying south of the 30 Doradus nebula in the Large Magellanic Cloud which have long been identified as unique star-forming sites. The red and the blue light are from regions of hydrogen gas heated by nearby stars; the green light on the left comes from glowing oxygen. 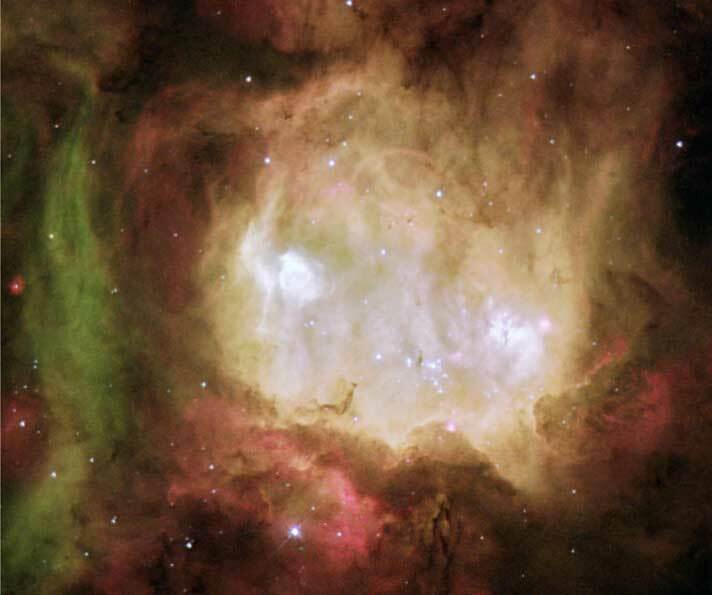 The white region in the center is a combination of all three emissions and indicates a core of hot, massive stars in this star-formation region.